participated. The weather was warm, the fireworks spectacular. Happy New Year to all WSX runners and friends. 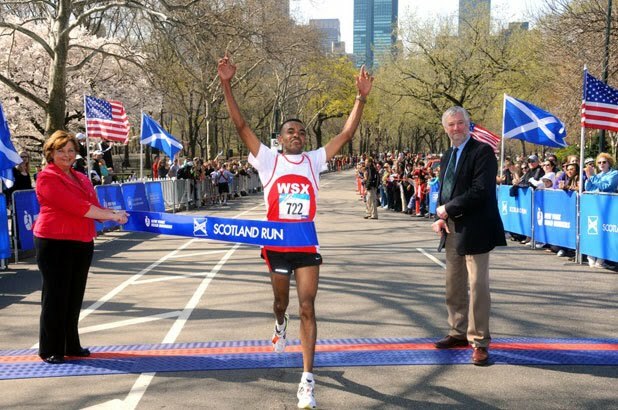 Go Tefaye Bekele, my brother! 50 team 3rd, the Seniors 2nd and the WSX open women may end up 5th team overall. 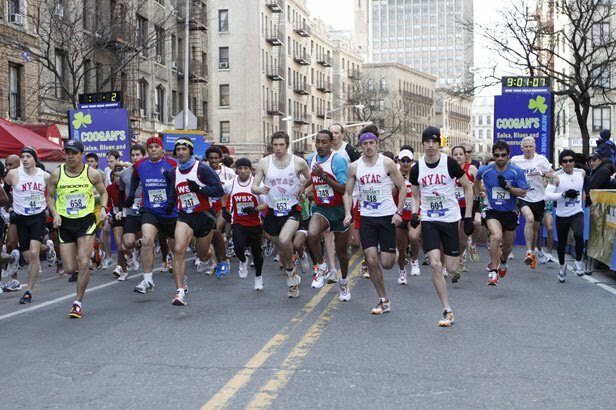 The NYRR banquet is scheduled for March 3rd. beat the third runner by 6 seconds) finishing the course in 2:26:31. 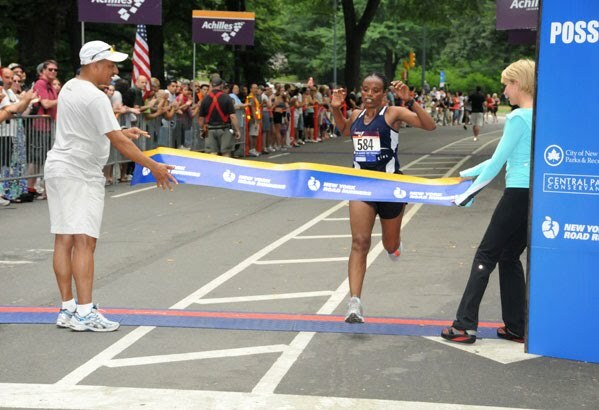 Muliye Gurmu was third woman overall in 2:54:07. Both won prize money. 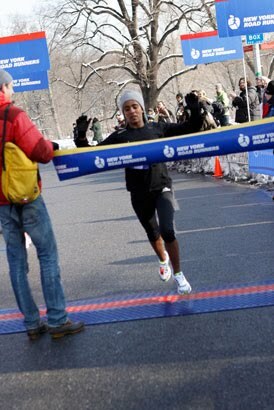 DEREJE TESFAYE HAILEGIORGIS WINS RACE TO DELIVER 4 MILER IN 19:35 IN CENTRAL PARK NOVEMBER 21ST. Americo Ceballos 3rd in the 50-59 age group. Sharon Antoine also attended the Ball and being a party animal came to the WSX party too. team runners did not have their teams listed, so there will be more. The winner, Gebre Gebremariam is an honorary member. regular WSX runners agreed to run with the Miner. They had to talk to him and encourage him and they did. & Pedro Cobos 2nd & 3rd 55-59, Alberto Rivera 3rd 15-19.
time of 2:10:17. This time breaks Alene Reta's 2:12 WSX record reached earlier this year in Santiago, Chile. 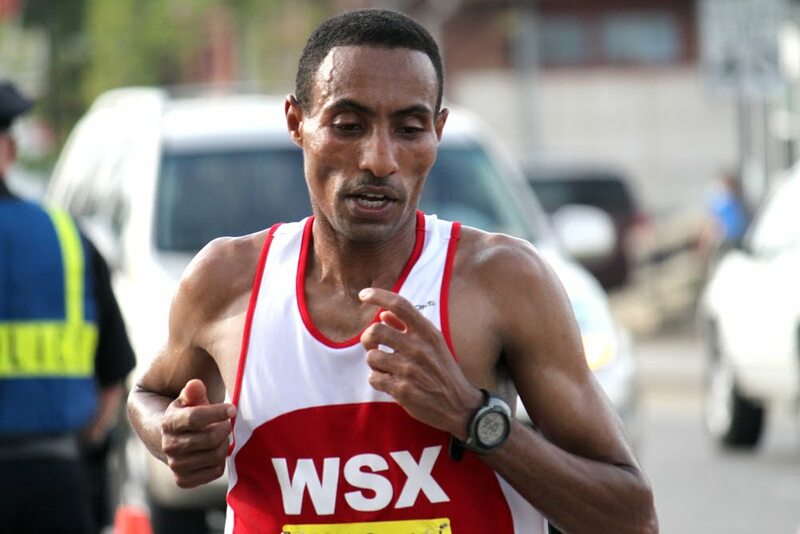 BUZUNESH DEBA BREAKS WSX MARATHON RECORD WITH A 2:27:24 IN ST.PAUL ON OCTOBER 3RD. before she joined the WSX team. Worku Beyi is training Buzunesh and Gemma Tufa is training Serkalem. Alberto Rivera celebrated his 15th birthday (new category) and generously allowed his friends to beat him. is recuperating, 2 of the 5 guys have been caught but Yonas' cell phone ran of someplace with the other 3 guys. 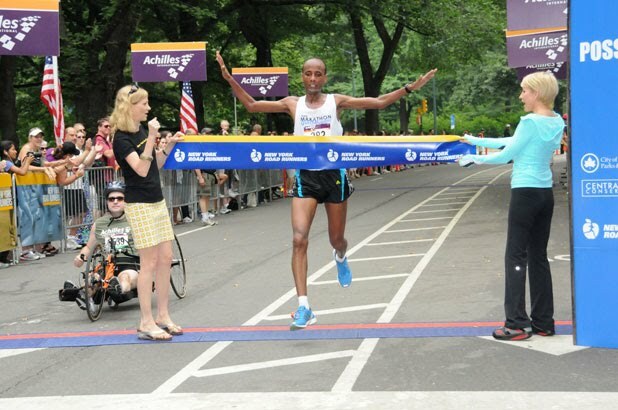 In the NYRR Road Mile Championship 5th Avenue Mile on September 26, Bado Worku Merdessa won in 4:06 while Fikadu Lemma was 6th overall. together for 18 mies in the lead. 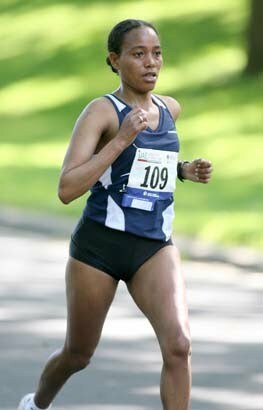 Muliye Gurmu repeated her win from 2009 sailing in 4th overall (among all runners) as the female winner in 2:54. 5th. Alfredo Nunez, Cosme Luna, Ramon Taveras & Alex Juarez won age group awards. (2nd 60-63) , Julio Aguirre, & Hector Rivera was 2nd. 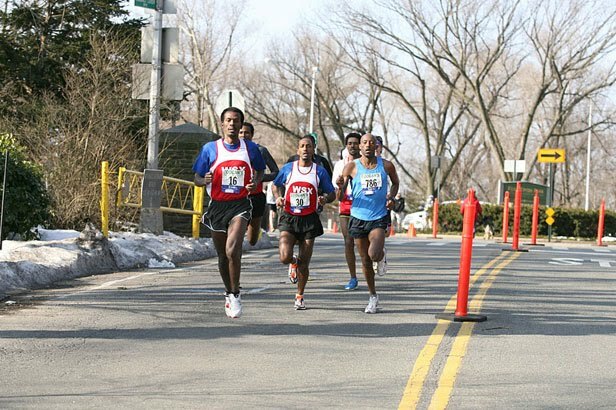 Halefom Abebe Tsegaye, Elmustafa Mchkirate & Angel Confesor all broke 21:00 minutes. and Evelin Gomez was 3rd in the 15-19 age group. overall in 27:39 eleven seconds behind the winner. male finisher in 2:25:38. 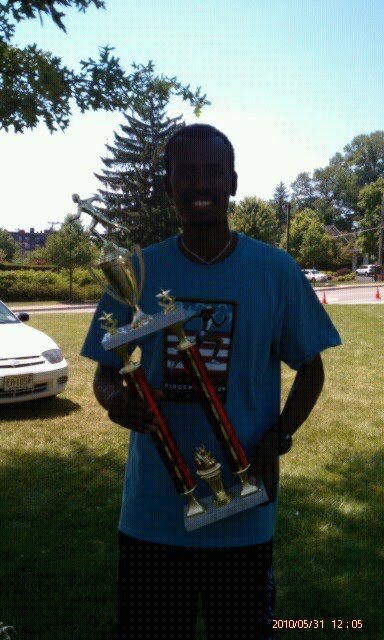 The winning time was 2:17.
last year finished 2nd overall male in 14:04. Aziza Aliyu came in second woman overall in the hilly Parkersburg, West Virginia Half Marathon which took place August 21st in 1:14:51. 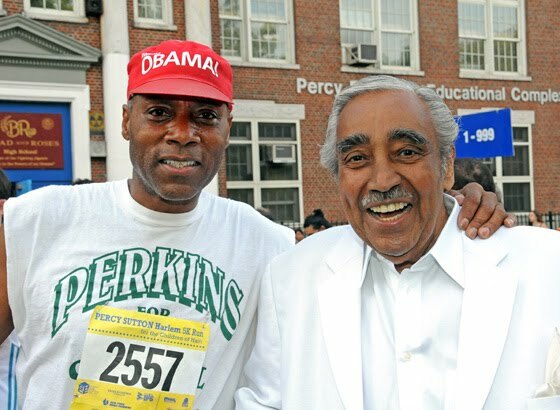 Misiker Mckonnin was 5th . Alene Reta, who had won this race for three consecutive years, finished 3rd in 1:04:20. 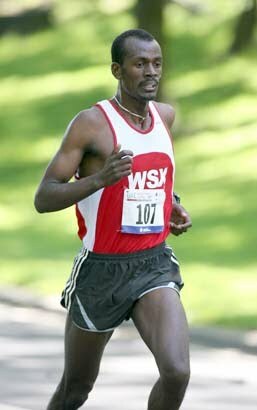 Belay Kassa was 19th. Other WSX runners dropped out. of Boston in Massachusetts. Both won prize money. Please wear your WSX Team Colors otherwise we might miss you in the photos! Estevez & Julio Aguirre all won age group awards. 59 WSX runners completed the race. Nigusse. We all wish Sebleledet well and a speedy recovery. 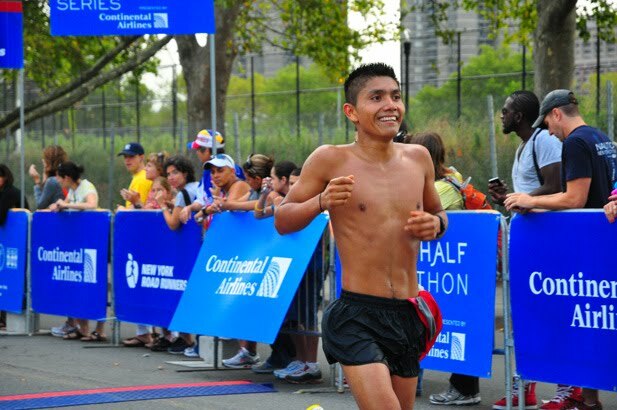 male runner to run 23 minutes this year. He was followed by Mohammed Awol, Fikadu Lemma, Ketema Nigusse and Genna Tufa. leading the team. 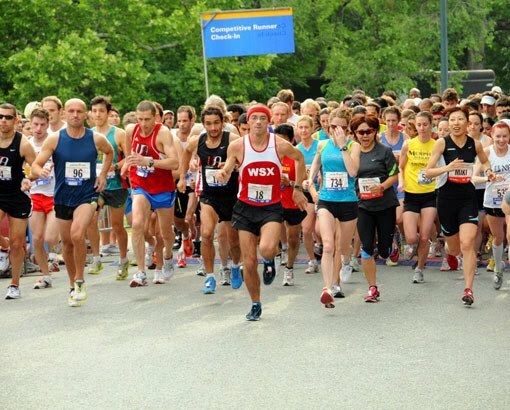 Over 70 WSX runners participated and a large team picnic was held after the race. California two days later was 2nd in 27:11 breaking his own WSX 6 mile record . named Tsion and weighed 6 pounds 9 ounces at birth. Mother, Father and daughter are all doing well. in 36:12 & Muliye Gurmu was 6th woman finisher. Everyone went swimming in the pool after the race. .
July 4th in 32:04 for 7th woman overall. Just behind her in 32:10 was Buzunesh Deba in an amazing time of 32:04. 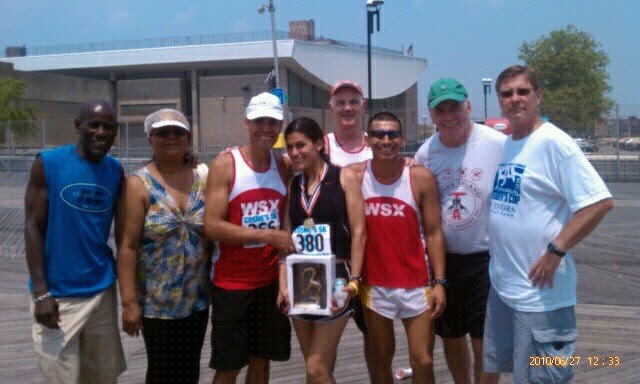 Angel Confesor was overall winner in Cosme's Coney Island 5k race on the Boardwalk in 16:23. Christian Abad ran 17:01 as he and Felipe Vergara 17:16 made up the winning team. Jose Santiago also won age group awards. Beer flowed freely after the race. .
third overall in 1:05:57 and Fikadu Lemma was 6th. 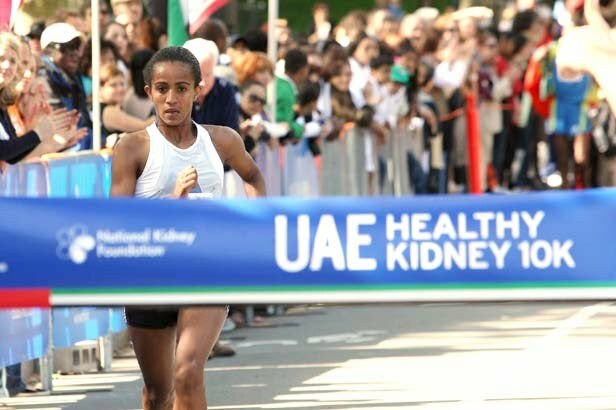 Buzunesh Deba, running her second race in two days, won again in 1:15:43, only 3 seconds ahead of the next woman. 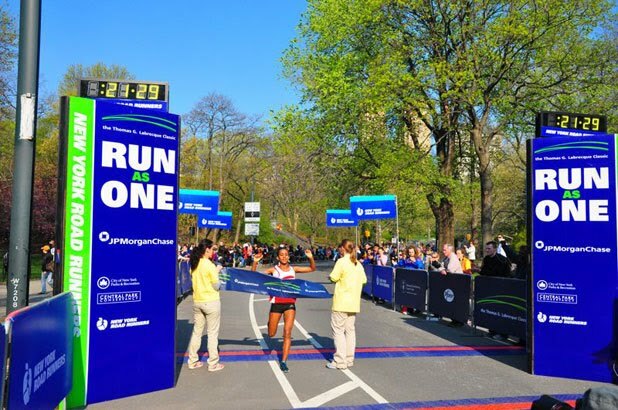 Buzunesh Deba, coming off her triumphant 2:31 marathon at Grandma's, swept the distaff side winning in 27:06 & Sebleledet K'Mariam Kasahun was third overall in 28:45.
that one-two Senior punch, Edgar "Fantasma" Sandoval & Julio Aguirre swept the 60-64 age group. 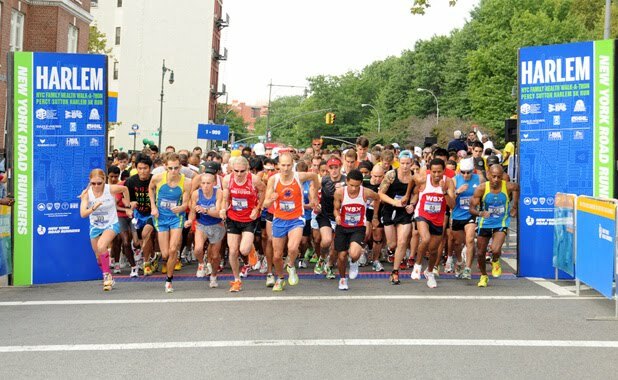 over 5000 competitors in the NYRR Father's Day 5 Mile Race in Central Park. His time was 23:48. 2:32:03). Hirut Mandefro was 11th in the Marathon in 2:45:23. 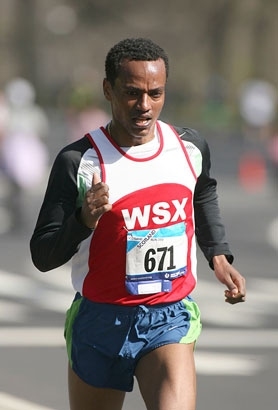 Bado Worku Merdessa was 2nd overall in the Half Marathon 3 seconds behind the winner finishing in 1:04:27.
very well, hotel rooms for all, dinner and lunch, travel expenses for most and prize money for 6 WSX finishers. 30 Hirut Mandefro 37:07 .
race was very mixed up, runners criss-crossing, lack of water, distance probably short, no results after the race. overall while Muliye Gurmu was third woman in 18:32. 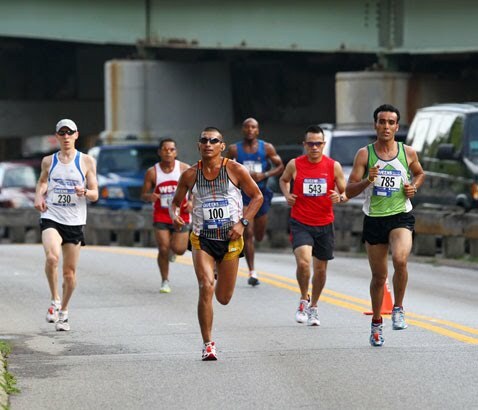 "I was coming in 3rd for the last half mile, after having passed three other runners along the way, when this guy beat me in the final stretch. Auch! Anyway, this was my result: "
to the Bronx). They went by bus. in second both times. Honorary Member Yonas Woldesellassie was 9th in the 5K and Ralph Yozzo was the chauffeur. And our friend Abiyot was first in the 10K and 2nd in the mile (while running on an injured hamstring) And by the way, Kumsa was also injured. Also, Yonas. 2010 Ridgewood Run 10K 2010-05-31 6.2 0:40:53 0:40:53 0:06:35 WSX M 47 73.298 started in the back. hot and weaving but nice! 2010 Ridgewood Run 5K 2010-05-31 3.1 0:20:46 0:20:46 0:06:41 WSX M 47 69.3419 started in the back, just ran the 10K and wearing a cotton shirt! 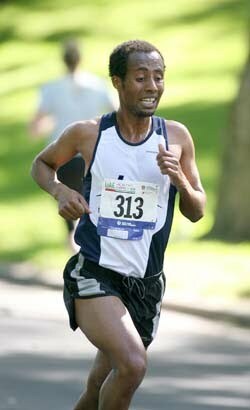 Mohammed Awol wins Buffalo (NY) Marathon in 2:19, Belay Kassa is third 5/30. 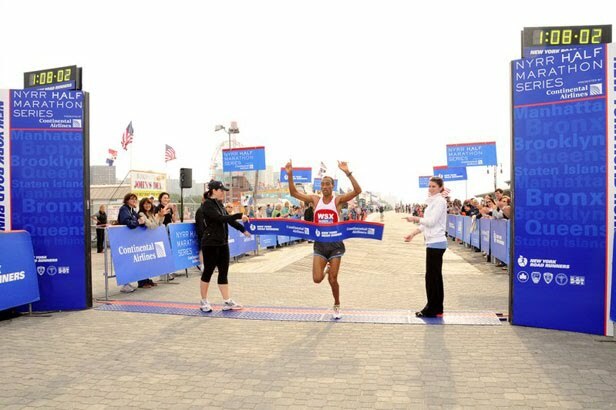 2:25:54 after winning the Brooklyn Half Marathon the previous week. 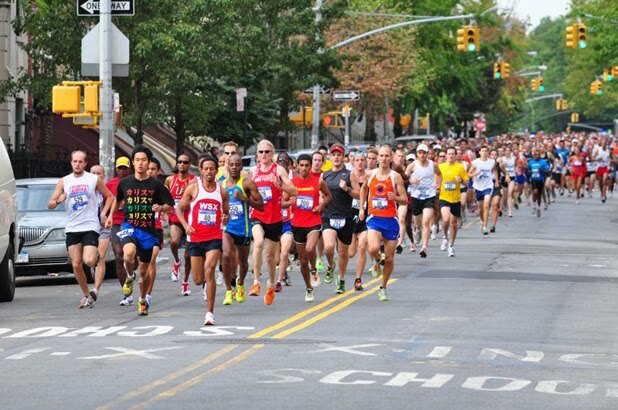 as the NYRR closed the entry procedure for the Brooklyn Half Marathon months ago the same day entries opened due to capping. The WSX Men's Masters were 4th, the Men's Veterans also 4th and the Men's Seniors took 2nd Place. 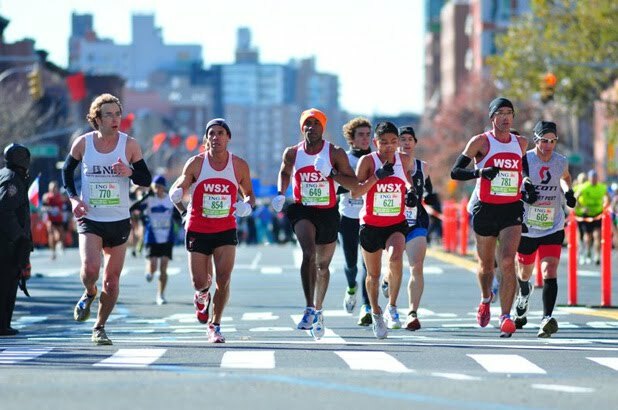 The WSX men's team won first place in the NYRR Mother's Day Race on May 9th with Roberto Puente leading the WSX contingent in 21:43. 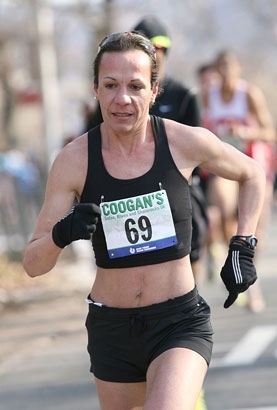 Serkalem Biset Abrha, who ran a 10K the day before in Jersey City was second woman overall. 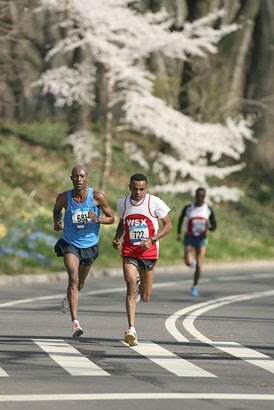 Ketema Nigusse was the overall male winner in the Newport 10K, in Jersey City on May 8th while Buzunesh Deba matched him and was first woman in the race with many turns. 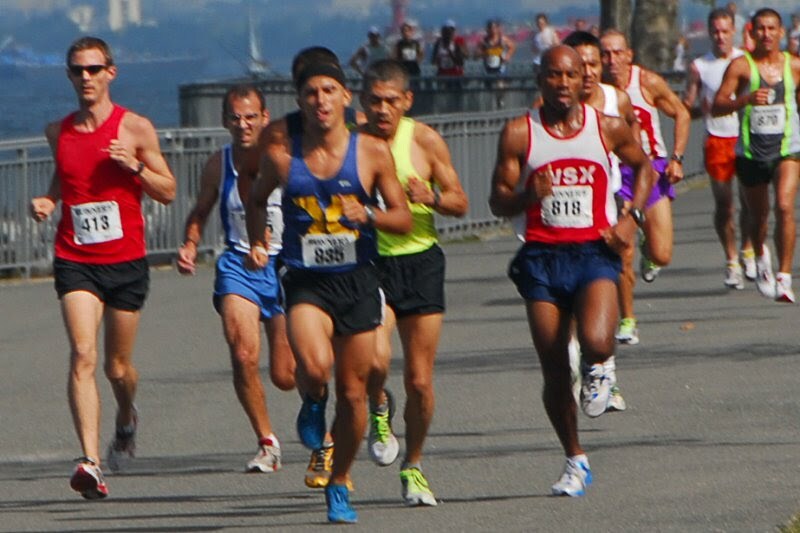 Kumsa Adugna Megersa & Serkalem Abhra were the overall winners in the Rye (NY) Derby 5 Miler May 2nd. Genna Tufa was 2nd, Teklu Tefera Deneke finished 5th . Serkalem Biset Abrha finished the rainy Country Music Marathon in Memphis, Tennesee in 2nd place in 2:35:19 while Genna Tufa came in 9th male in 2:24:04. 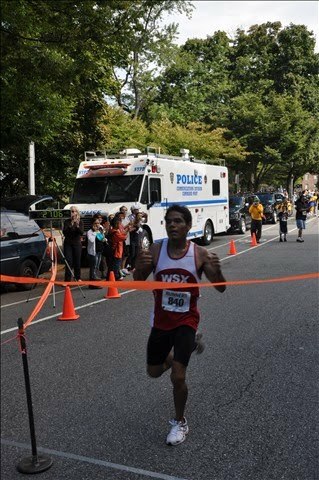 In the steaming hot Cinco de Mayo 5K in Prospect Park, (with no water stations or water prior to the race) the WSX men's team grabbed 1st place and the Women 3rd. 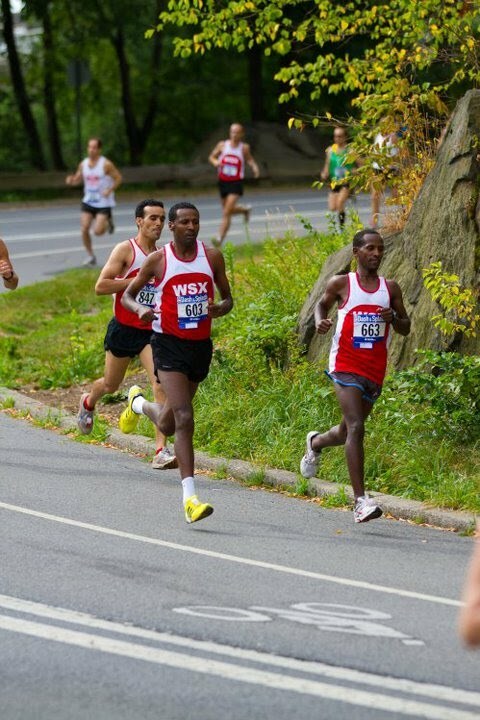 Both the WSX men's and women's team finished 1st in the NYRR Run for the Parks 4 Mile race in Central Park 4/18 as Mohammed Awol was 2nd male, Belay Kassa 3rd. 9th place. A warm welcome back to Hector Rivera who had a few years off from racing after a heart attack. Only 4 WSX women ran so we did not have a scoring team.